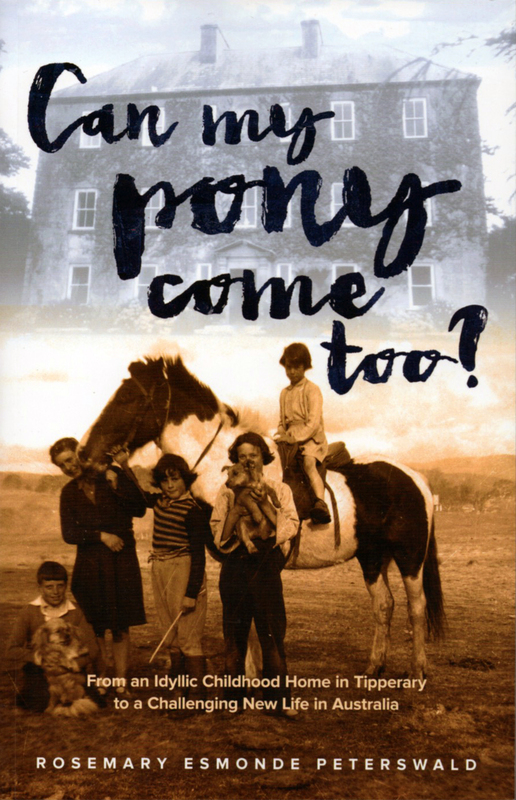 Home :: Just Tassie Books :: Can My Pony Come Too? From living in a Georgian mansion in depressed 1950s Ireland, the Esmonde family moved to the promise of a better life in Australia, eventually settling on an apple orchard in Tasmania. This is Rosemary Esmonde Peterswald's memoir of a life changed from the perspective of a seven year old when the family moved to life as an adult on the other side of the world.